made myself one the only thing i added was lipo battery checker inline that has a momentary switch wired to it (only display voltage when i press the button). after using it for sometime thought it was great. One of my close friend is getting into quadcopters and fpv. for his birthday decided to make him one to get started. i have everything WORKING except the voltage display. 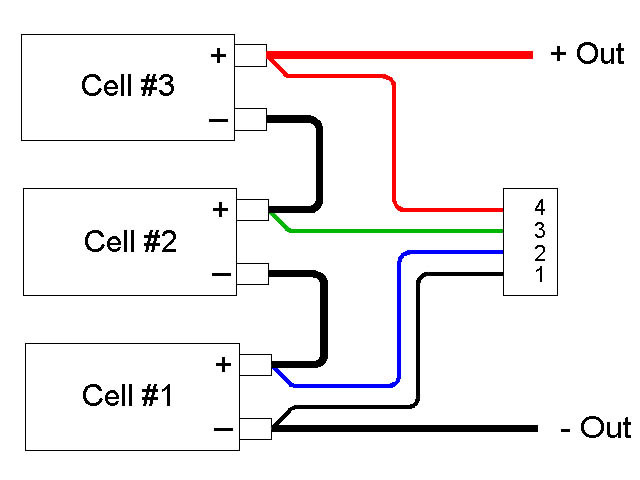 everything is wired in parallel to keep the voltage the same everywhere. the voltage display comes up as ALL 5.7v then Cell 1 ERR and repeats. how am i getting 5.7v from a 3s lipo? use a different battery checker same thing. substituted a different battery (known to work) and same results. at first i though it could be the battery. when i connect the voltage display directly to the battery balance lead 12v. thinking it could be the main battery lead, check that 12v. battery is fine. i thought it could be the momentary switch i wired in (dint think it could be since the previous build is using the same thing). took the switch out of line and wired without it, still get the 5.7v. i literally tried to wire this every which way i can figure. the only time the voltage display works properly is if i wire it directly to the battery. 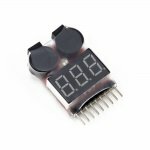 as soon as i tried any wiring scheme that is not directly connected to the voltage display i get 5.7v. how is this possible? how is it steeping down in voltage? i can take pictures/videos of the different wiring and the results if someone is really interested to help me figure it out. what baffles me most is i literally have the EXACT same setup working. same parts and wiring, same everything. Pictures would be a huge help. They may even help you solve the issue yourself if you take pictures of the exact same thing in BOTH units you have built and compare them. You might even see the issue before we would. Since you said you have wired everything in parallel.. are you pulling off the main battery connection for everything or do you have something pulling from the balance port as well? A picture of your wiring harness without tape or shrink wrap could prove helpful. I am only pulling off the main battery lead, not the balance lead. I only attach to the balance lead to double check the voltage alarm was correct at 12v not the 5.7v I am getting else where. i will take pictures of the setup soon, been rewiring to see if anything change, no luck yet. Standard voltage checkers like this one: are meant to connect to the balance lead. Are you using one like that or one capable of measuring 12V? If you only wired the first and fourth pins on the checker, it would probably show a correct voltage at 12V, but would pop an error on individual cells. Just guessing since we don't really know how it might be wired. Hope you figure it out! Let us know. That is the exact voltage checker I am using. Long story short I rewired everything, again. I have it connected to pin one and three (not sure how that works really). If i connect pins one and two no power, connect pins one and four just Error. If i connect to pins one and three I get the correct overall voltage then goes to Cell 1 and get Error and constant beeping. It works the way I have since when installed (didn't use when testing) I have it on a momentary switch so just release the button after it shows the overall voltage and you don't get the constant loud beeping. If anyone has insight to why it works this way would be interested. Sconner nailed it. If you just want to read a voltage on the main wires, you might be better served by something like this. Makes sense when you see it in the diagram. Thanks for the explanation. Got it all working, thanks guys. Nice work with the help gents. That picture shows exactly what was going on now I see he was only using pins 1 and 4.